The Juvéderm® family of injectable fillers, from the maker of BOTOX Cosmetic, is the #1 selling collection of hyaluronic acid fillers—and they can help you smooth, plump, and lift for a younger look with subtle, beautiful results. Formulated with hyaluronic acid, a naturally occurring substance in the body that keeps skin supple, Juvéderm injectable fillers look and feel natural under the skin and offer a very low risk of adverse reaction. We can often see patients the same day or next day, especially if they have been in to see us previously. Please don’t hesitate to call us at 617.786.7600 and see if an appointment is available, even if you want to come in very early or late. We do our best to accommodate our patients’ busy schedules! Who performs Juvéderm injections at Boston Plastic Surgery? At our practice, all filler injections are performed either by our Aesthetic Nurse Injector, Maryanne Savage, RN, BSN, Dr. Samaha, or Dr. Lee. Maryanne has over 30 years of experience as a registered nurse and has been focused on aesthetic medical care and injections since 2006. She and Drs. Samaha and Lee work together closely to ensure that you receive the proper Juvéderm dose and injection technique during your treatment. When you come to Boston Plastic Surgery to meet with Dr. Samaha, Dr. Lee, or Maryanne Savage, we’ll work closely with you to determine which treatments are a perfect match for you. After identifying the areas that need improvement and cleansing the skin, we will apply a topical anesthetic, ice, or nerve block to help ensure your treatment is as pain-free as possible. Juvéderm is then administered just beneath the skin using a very fine needle. Below the dermis, Juvéderm binds with water and the naturally occurring hyaluronic acid in your body to increase volume and fill out age-related wrinkles and folds. Below, you can learn more about the products we offer and how they can help you feel great about the way you look! Juvéderm Ultra XC is a smooth gel filler that is manufactured using special HYLACROSS™ technology, creating a smooth-consistency gel. It is infused with lidocaine to improve comfort during treatment. With Juvéderm® Ultra XC you get the smooth results you expect, with the improved comfort you want. Juvéderm® Ultra Plus XC contains a slightly thicker formula that we’ll often use for deeper creases around the nose and mouth. Once injected, Juvéderm XC works instantly to smoother moderate-to-severe parentheses lines and wrinkles around the nose and mouth. Although the results vary, most patients can expect the correction to last 6 to 12 months. Your body will slowly break down the hyaluronic acid and clear it away. Ask your provider when you should return for a touch up Juvéderm treatment. As we age, our cheeks can flatten out and start to droop due to lost volume. VOLUMA works to sculpt and reverse aging by replenishing diminished hyaluronic acid in your skin, which can cause the skin to lose volume and structure. VOLUMA is injected into the dermis for long-lasting facial fullness. VOLUMA has been shown to improve cheek contours for up to two years. During your appointment, we will chat with you about what to expect and when you should start thinking about scheduling your maintenance treatment. Vollure is a long-lasting, low-maintenance injectable treatment that can help smooth lines for up to 18 months. 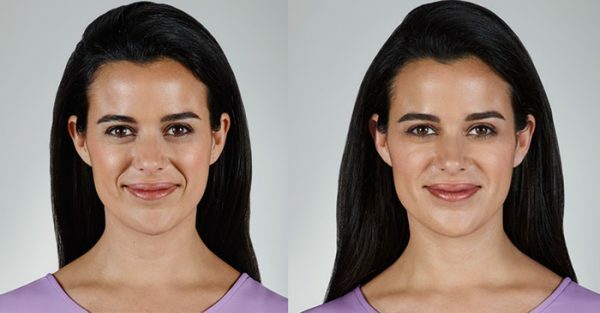 Vollure is FDA cleared specifically for softening the appearance of nasolabial folds and other creases around the nose and mouth for over a year. When injected into your areas of concern, Vollure works two-fold: the gel physically fills in wrinkles while the hyaluronic acid supports your skin’s natural hydration and fullness. After treatment, you’ll notice an immediate improvement in the treated wrinkles, with final results taking shape over the course of one to two weeks as any swelling or redness fades. That’s why we’re so happy to offer Volbella for subtly adding volume to the lips and softening vertical lip lines. 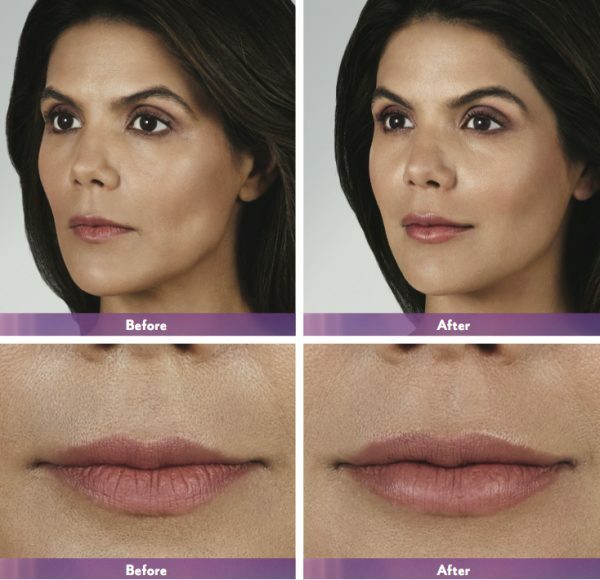 Volbella is specially formulated to help minimize vertical lip lines, improve lip symmetry, restore modest volume, and enhance the shape and definition of the lips. It’s a great solution for those who feel their lips have thinned out over the years or are concerned with the appearance of lines around the mouth. Results typically appear within just a few days, and many patients report still loving their look up to 12 months after treatment. Patients who hope to see more noticeable volume in the lips may benefit most from another Juvéderm product, such as Juvéderm Ultra XC. Be sure to let Dr. Samaha, Dr. Lee, or Maryanne Savage, RN, know your goals so they can recommend the most appropriate option for you. After the injection, the treated area may feel fuller than normal. This will subside quickly as you adjust to the results. During the first 24 hours, you should avoid sun or heat exposure. You should also refrain from rigorous exercise or alcohol consumption. If you experience any swelling, we may advise you to apply an ice pack for a short period of time. How much does Juvéderm cost in Boston? The price of Juvéderm varies based on the product used and your individual needs. Contact us today to find out your options. If you’re looking for Juvéderm deals in the Boston area, we frequently have specials and rebates. Be sure to check our specials page for current Juvéderm promotions. Be sure to sign up for Allergan’s Brilliant Distinctions Rewards Program to earn rewards, receive special offers and exclusive invitations from Allergan, customized newsletters, savings on treatments, and insider access. Wondering if Juvéderm is right for you? Contact us today to learn more about Juvéderm or schedule your appointment. We can’t wait to meet you!